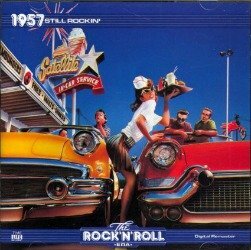 Five Satins Oldies Music Lyrics | "In The Still of The Night." 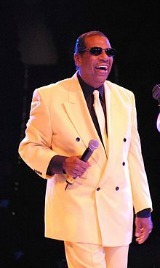 The Five Satins oldies Music Lyrics to the song "In The Still of The Night" was written by Fred Parris. 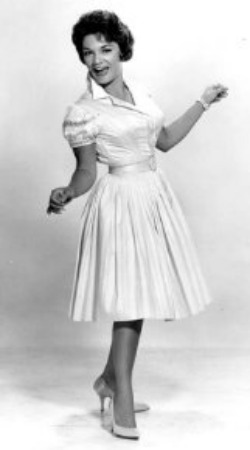 Many consider "In the Still of the Night" to be the Anthem of Doo-wop oldies and it would be hard to argue that point giving the year the song was originally released, 1956. Fred Parris penned the song when he was just nineteen years old. 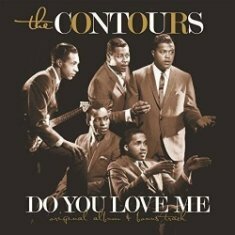 As Parris told the Smithsonian years later, he wrote the song late one night, when he was in the Army, stationed in Philadelphia. "It was a cold black night, and the stars were twinkling. The setting was very apropos for my feelings and emotions." Parris was remembering a night the previous May that he had spent with a girl back near his home in New Haven, Connecticut. The Beginning - How it all started in a church basement. 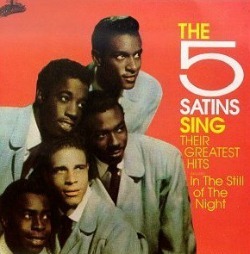 In 1956, the Five Satins made their debut on the Billboard R&B chart with a song they recorded in a New Haven, Connecticut church basement titled "In The Still of the Night." 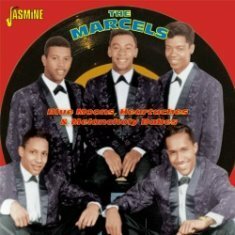 When asked how they wound up in that church basement in the Morris Cove section of New Haven in February of 1956, Parris said they were all broke and needed a free place to record their songs. He said they "made a deal with somebody" who was a parishioner of the church and was "pretty tight with the priest." This "somebody," Parris said, also played saxophone. The "deal" was that if he could get them in there, they would "let him play sax on the record." Who was the cool Saxophone player? 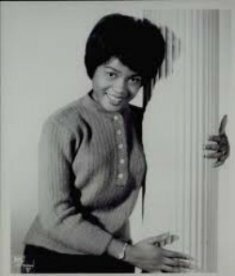 I often search for information related to session players that are featured on records but never given the proper credit for their contribution to a hit record. The sax player on this song was not really a session player but in the right place at this magical moment in history. I admire those artists who have the talent to step in at a moments notice and play for the love of the music. I choose to put their name "in lights" when I find an artist that played on a particular record and give them their long overdue credit and place in history. 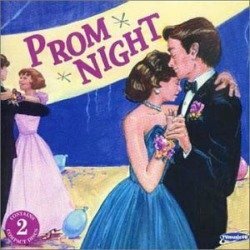 Please listen to this original "In The Still of The Night" 45rpm recording and continue reading my story below. I'll reveal some quality content I got from an article written by Randall Beach, and also what the saxophone player told me about that special recording session nearly sixty years ago. 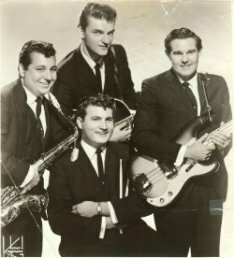 The Five Satins oldies music lyrics - The forgotten saxophone player. 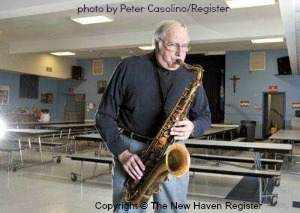 In early February 2014, while searching for saxophone session players information, I ran across an article written by Randall Beach of the New Haven Register. The article was about a saxophone player on the song "In The Still of The Night" and contained direct quoted information I wanted to share with my visitors. I emailed Mr. Beach for permission to use his article for reference. He was kind enough to give me permission and also made it possible for me to contact the saxophone player. Meet Vinny Mazzetta - The Original Five Satins Saxophone player. For many years, Vinny Mazzetta and his wife, JoAnn, shared only amongst themselves and their family what she called "our little secret." They instructed their kids not to talk about it with their friends. Nobody would believe it anyway. But in 1980, after his family seen a story in the New Haven Register that overlooked his proper place in history, Mazzetta decided to come out of the closet. That was me, he publicly stated; I was the one who played saxophone on the Five Satins' "In the Still of the Night," recorded in the basement of St. Bernadette's Church. The "Wall of Fame" - Did Vinny get his due? 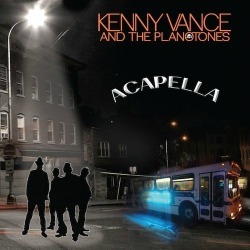 In June 1995, Vinny finally got recognition when a "Wall of Fame" was created, with plaques, in that church basement. Mazzetta participated in the ceremony and was shocked that hundreds of people attended. Parris and Mazzetta were reunited, performing that song. Also on hand were Bobby Mapp, the drummer on "Still," and Tom Sokira, who co-produced the record with Marty Kugell. But the plaque on the wall still had no mention of Vinny's name, only Fred Parris and The Five Satins. 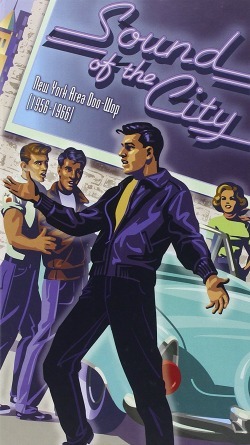 A replay of the Doo-Wop classic. In 2010 Randall Beach contacted Vinny, picked him up at his home in Morris Cove, where he has remained all these years, and drove him to that same church on Townsend Avenue, where it all began. Mr. Beach asked Vinny if he could play "In the Still of the Night" and he did so. It's still beautiful. "You hear how good the acoustics are?" he asked. I did, replied Randall Beach. When Mazzetta was asked about his name being omitted from the plaque, symbolic of recognition still being denied him, he said, "That never bothered me. It bothered my family more than it bothered me." Asked how he came up with his big solo on that song, he said, "It just came out. I did what I felt." "Who knew?" he said. "Who knew where it was going to go?" And how much was Mazzetta paid for his part in this classic hit? "I got $42.50. That was the union recording fee. And I had to pay about $40 to join the union, so actually I made nothing!" My conversation with Vinny Mazzetta. On February 8th, 2014 I called Vinny Mazzetta and talked to him for eight minutes and forty nine seconds. I mention the time specifically because Vinny is a part of history and I appreciated those few minutes talking to a part of history more than Vinny could know. The conversation with Vinny brought back memories of the prom dances with my first girlfriend, dancing to this very song. And here I was, talking to the man who played that great saxophone solo on this wonderful old classic. It was a little hard at times for two old guys with hearing problems. Several times during the conversation it was "What's that", huh, What'd you say." But I could tell Vinny was a simple man like me and didn't mind sharing a little history. He was very polite. I asked Vinny if he had any photo's of him and The Five Satins in that recording. He said he did not. I also asked Vinny if he toured with The Five Satins and he told me he was young at the time and had no interest in doing that. He said he hardly knew the guys but wanted to do them a favor so they could record their music. A final thought from Randall and Vinny. Mazzetta is proud of what he set in motion; that recording also marked a breakthrough in race relations. "It was a first. You could tell I was only 21, I didn't know any better: bringing blacks into the Cove, into a church. But I just said, 'They're here to make a record.'" "A good thing happened," he said. Sadly, Vinny Mazzetta died Sunday October 14, 2018 at Branford Hills Health Care Center, Branford, CT. Tom Sokira, co-producer and audio engineer on "Still of The Night" informed me of Vinny's passing. Vinny was 83. Special side note and credits: I would like to express my sincere gratitude to Randall Beach and the New Haven Register for allowing me to use the many quotes and references to the article Randall wrote in 2010. This allowed me to write information about Vinny I knew would be accurate. You can view the original article here and see how it was added to this page for reference. The photo was also made available and was taken by Peter Casolino of the New Haven Register. The photo is the property of the New Haven Register and may not be copied without permission from the Register. 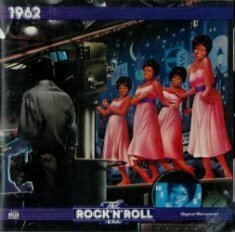 Return to Doo-wop Oldies main page. Guitar Favorites - Some of the great ones are here. 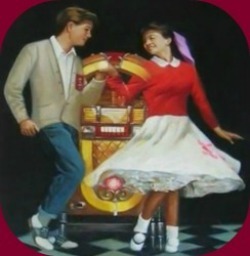 Return Home from Five Satins Oldies Music Lyrics. 24 great songs including their million seller "In The Still of The Night." 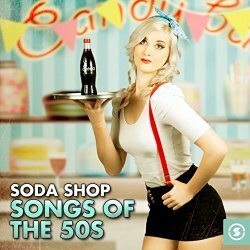 Visit the Amazon Five Satins store. 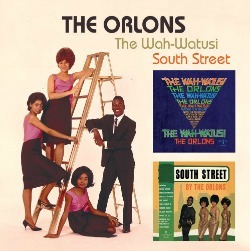 See all "Five Satins" albums in one location.